February 12, 2019 11:24 am. 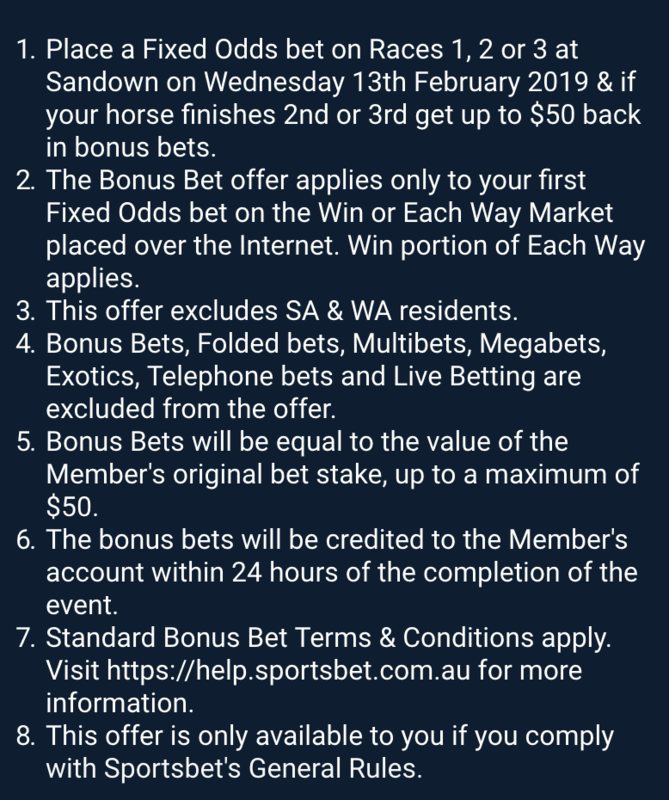 The mid-week meeting at Sandown is the scene for Sportsbet’s promotion to help punters get past the hurdles that hump-day may bring with bonus bet specials. The eight-race card at is the biggest Victorian meeting of a day that also features races at Warwick Farm, Doomben and Ascot. 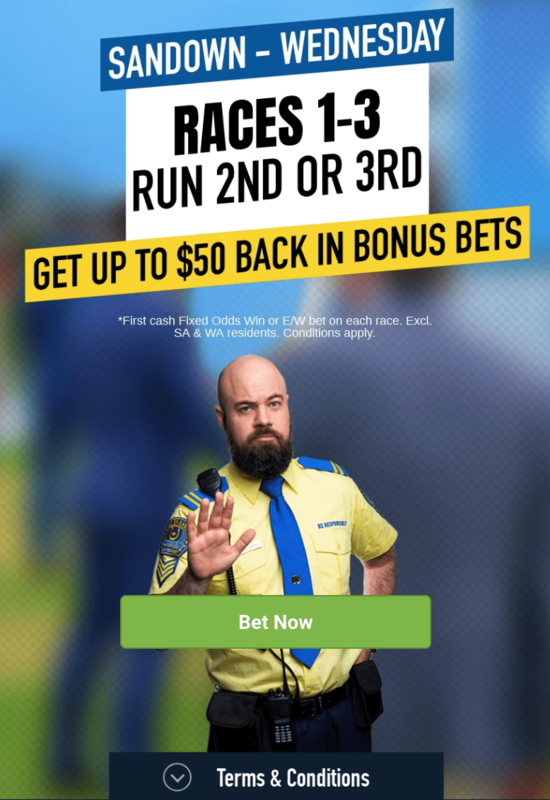 Thanks to Sportsbet.com.au, you can get off to a strong start to the day with a nice little bonus bet promotion. 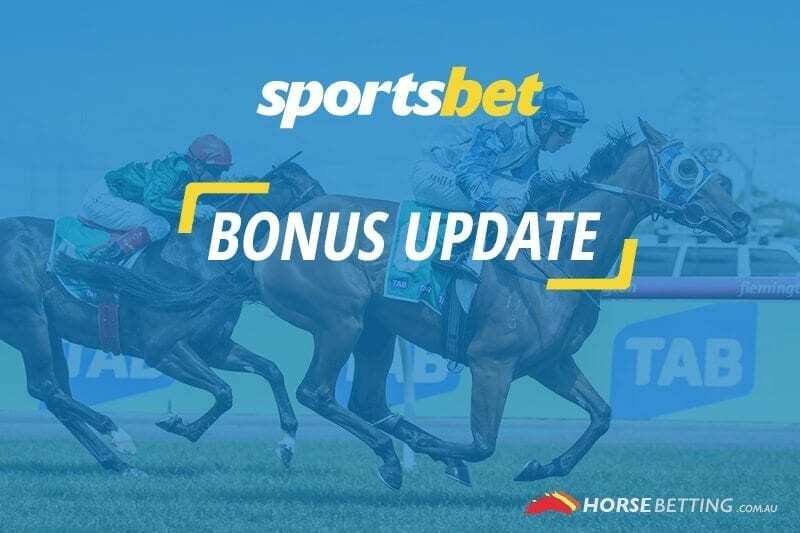 If you back a fixed-odds win bet in the first three races on the card and your horse finishes second or third, you’ll get up to $50 back in bonus bets. The deal excludes residents from South Australia and Western Australia because of state laws. Read all of the terms and conditions below and gamble responsibly. The Sandown meeting kicks off at 4pm AEDT.